Come with us to enjoy our amazing MusandamDibba tour that is exclusively designed for you to comply with your every touring demand. 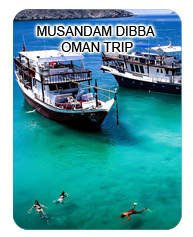 MusandamDibba is quaint paradise located off UAE coat and is famous by the name of Saltanat of Oman. Due to unique formation of peninsula, it presents very stunning view. 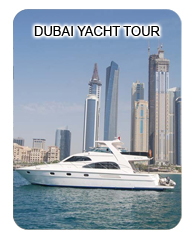 Get a chance of seeing fish, tuna, and dolphins in seawaters of this beautiful place. With a stunning range of mountings, Musandam is ready to say you warm welcome with pleasant weather that you can enjoy throughout the year. 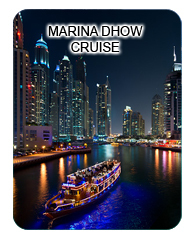 Don’t waste your time anymore and join us on this fantastic trip. Imposing mountains range and rugged coastline will make musandam an ideal tourism destination for you and you will get a chance of enjoying maximum fun and enjoyment outdoor. You will have fantastic day in lap of nature where flair of sun, water and mountains will create a harmonious space for you. List of activities you can enjoy during this tour such as swimming, Snorkeling, Banana boat ride and Hand-line fishing. For your refreshment, our staff will serve you with buffet lunch and on board refreshment. Definitely, it would be an amazing trip you ever enjoyed.